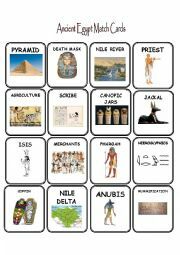 Match cards for developing vocabulary on the topic of Ancient Egypt. Match cards for some of the famous places in Florida. Not your usual giraffe, zebra, material. 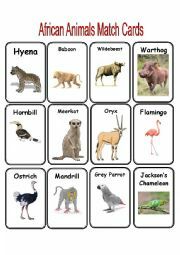 These animals appear in the movie the Lion King, particularly in the first scene and include more exotic names such as kudu and eland. Have fun! 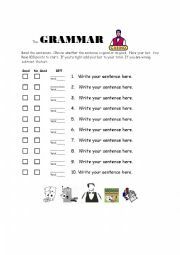 You can use this template to play Grammar Casino. The instructions are on the WS. 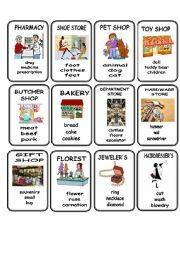 Just type in the sentences you want to use. Have fun! 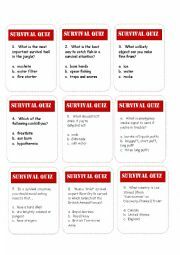 Trivia Questions on how to survive in the wild. This goes well with movies such as Castaway, The Hunger Games, Life of Pi, etc. Key included. 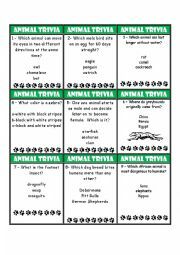 Animal Trivia Game Cards for intermediate students. Key included. 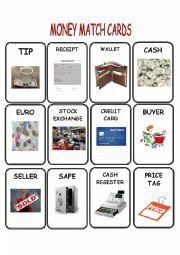 Match cards for learning terms about money. 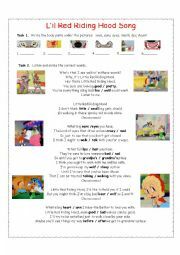 Print two copies, mount on to construction paper, cut and play!